The Intuition Mastery Workshops are designed to enhance the natural intuitive ability of all participants. Each workshop provides specific content for skill building and application. There is a natural progression to the workshops, allowing the participants to build on their range of skill and ability to utilize these in their daily professional and personal lives. Those attending have reported increased satisfaction and success in their work, improved personal relationships and an increase in their income. Unique Intuitive Signature (UIS) Assessment – Discover your personal way of receiving information in your body/mind/spirit system. Use the UIS in solving problems both personal and professional, for self and other. Intuitive Scanning Protocol (ISP) – Learn 3 basic ways to scan for information. Perfect your own scanning procedure. Utilize information to maximize personal and professional outcomes. Intuitive Scanning Applications (ISA) – Develop personalized applications specific for both your personal and professional. Use these applications to make your life easier. Intuitive Sensory Enhancement (ISE) – Enhance each of the five senses by employing specific techniques. Employ information obtained to under-stand personal/professional relationships and garner insights into potential action steps for greater success. Emotional Intelligence Assessment (EIA) – Evaluate your own emotional world. Determine specific methods to improve your emotional life. Enjoy your personal and professional relationships. Experience more joy in your life. Body Wisdom Map (BWM) – Locate and define messages from you physical body. Translate information into daily routines for improved health and well-being. Temperament Assessment (TA) – Understand your personal way of relating with your environment. 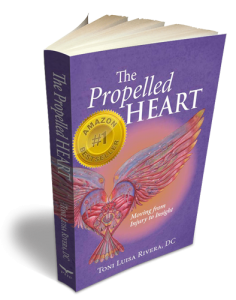 Extrapolate information into action plans for physical, mental, emotional and spiritual healing. All the assessment, protocols and procedures will be translated into practical everyday applications. Each discovery will be practiced in individual, paired or group activities to maximize understanding and integration of the skills. The goal is to allow each participant to define and develop their intuitive self-knowledge to promote radiant health, self-healing ability and success in their personal and professional lives. 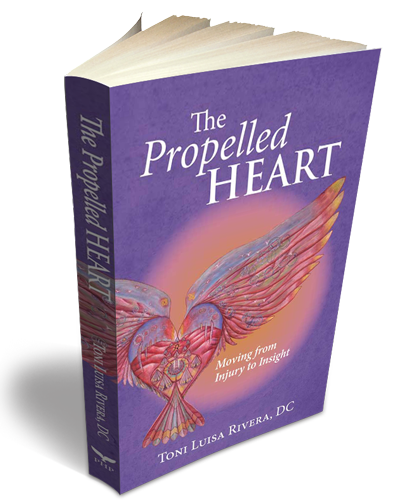 Sign up to receive both a FREE Chapter and FREE MP3’s of Dr.Toni leading you in body/mind exercises from the new book “The Propelled Heart”.